Sometimes, a company will send you a book or product you never asked for, then send you a bill for it. What they don't want you to know is this – if you didn't order it and they send it anyway, it's yours to keep. McDaniel said his office gets complaints from time to time about businesses that send unsolicited products, then send a bill, along with pre-paid packaging to return the item if it's unwanted. But McDaniel said consumers should understand they have a third option – to keep it without paying for it. They are under no legal obligation to return it. While there is no legal obligation for the consumer to inform the sender that the goods are being kept as a "free gift," it's a good idea to do so. The FTC recommends that consumers who receive unsolicited items write a letter to the company stating that the item was never ordered and, therefore, she has a legal right to keep it for free. 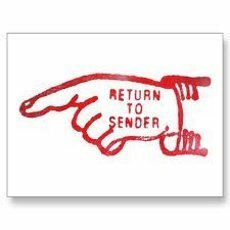 If the consumer would rather return the merchandise, he can offer to send the item back at the expense of the sender. The sender should be given a specific and reasonable amount of time - 30 days is adequate - to arrange to have the merchandise returned. The consumer should also tell the sender that she reserves the right to keep or dispose of the merchandise after the specified time has expired. “Free trial offers” in which the consumer has paid a small shipping charge is another matter entirely, and in fact is a much bigger source of complaints. To receive the “trial” offer, the consumer must provide their credit card information. In almost every case, they find that they have been signed up for a full order, or a monthly subscription that charges their credit card every month. In the first situation, the company sends an unsolicited product and hopes the consumer will pay for it. In the second scenario, the company has the consumer's credit card and can charge whatever they want. It will then require the consumer to dispute the charges. Fortunately, in this second scenario, the consumer has some control. If a company requires you to provide your credit card information to receive a “free” sample, there is a 100 percent chance you will be scammed. Don't do it!